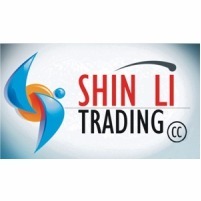 Shin Li Trading forms part of a larger family business that originated in Taiwan. In 1996 Mr Ching Hua (Mark) Juan came to South Africa to explore business potential and found a huge gap in the mining and earthmoving machine spares industry. He proceeded to buy a property in Pretoria and started a small one man operation with a line of engine spares. Due to the huge demand he encountered, within a few months there was no other option but to employ more staff to better serve the growing client base. In 2004 the company had matured to the point where it was necessary to move to larger premises. It was at this point that Shin Li Trading relocated to our current home in Kempton Park. With the larger premises we were able to once again expand our work force and add to our range of products. Our current product line includes parts for most Japanese and Korean Brand Excavators, Bulldozers and Wheel loaders. We are able to help with Undercarriage, Engine components, Hydraulic pumps and their parts, Final drives and their inner parts and a few other related spares.